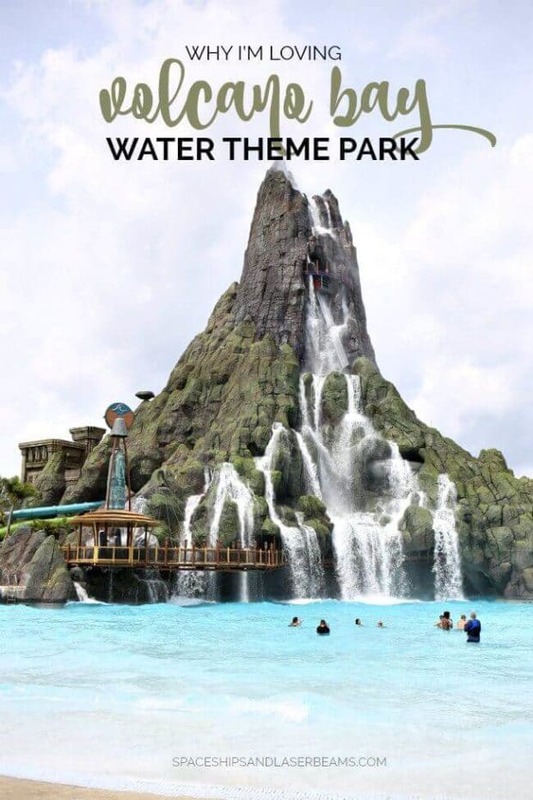 Great entertainment always begins with a story and the once upon a time I discovered at Universal’s Volcano Bay Water Theme Park was pure enchantment! If you describe Volcano Bay as a fantastic water park you’re telling the truth—but that doesn’t begin to tell the whole tale. I was fortunate to have been invited to attend the opening week festivities – including the park’s media day — and can’t wait to tell you all about it. Take a peak inside Universal’s Cabana Bay Beach Resort with its the fun retro style and vibrant colors. Get my Complete Guide to the Wizarding World of Harry Potter and find out if it’s worth going to both parks. Envision a South Pacific island with breathtaking views, streaming waterfalls, and crystal-clear water. Add a refreshing island breeze, hidden caves and a lazy river but don’t be fooled: this is Volcano Bay. There are incredible thrills awaiting your discovery at this tropical paradise. You’ll want to experience them all! Volcano Bay is gorgeous. Palm trees and sparkling water invite you to jump right into the fun. The impressive volcano commands attention and special nighttime lighting effects are not to be missed so save some energy to linger into the evening. 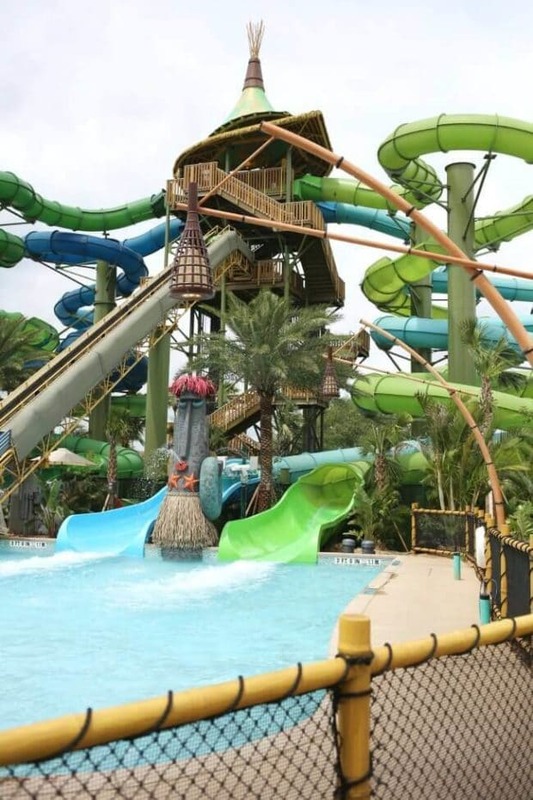 Krakatau, the 200-foot tall volcano centerpiece of the Bay, is where you find the most extreme attractions: Aqua Coaster, Body Plunge, Serpentine Body Slides, and Punga Racers. 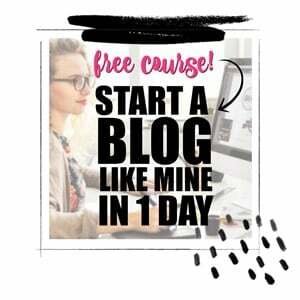 I loved the Aqua Coaster! A four-person canoe makes it fun to share the thrills of twists and turns and plummeting into a waterfall. You move so fast and it’s such a thrill! Wave Village is located at the base of the Krakatau Volcano. That includes the Waturi Beach wave pool and the calm waters of The Reef. Enjoy swimming in pristine turquoise waters knowing there are no sharks or underwater creatures waiting for you…unless a mischievous swimmer gets you. 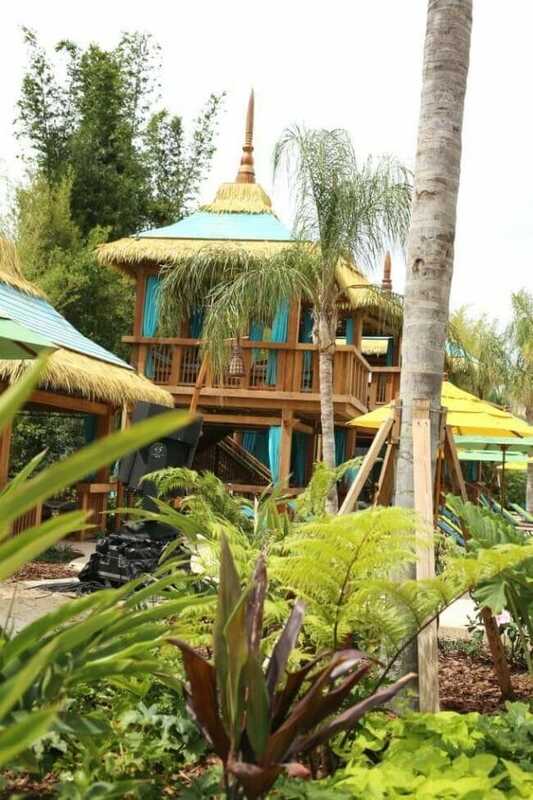 Rainforest Village offers slides, tubes, and a sandy beach lagoon. The 10-foot slide drop is so much fun if you’re a strong swimmer. The swift-moving river is awesome. River Village might be a first choice for those who want to chill, including families with little ones but that doesn’t mean there’s nothing to do. A lazy river, slides, spraying fountains, and multi-passenger rafts provide lots of action. Here’s my live tour of Volcano Bay the day before it opened! A practicality that makes this water park exceptional is the innovative TapuTapu. 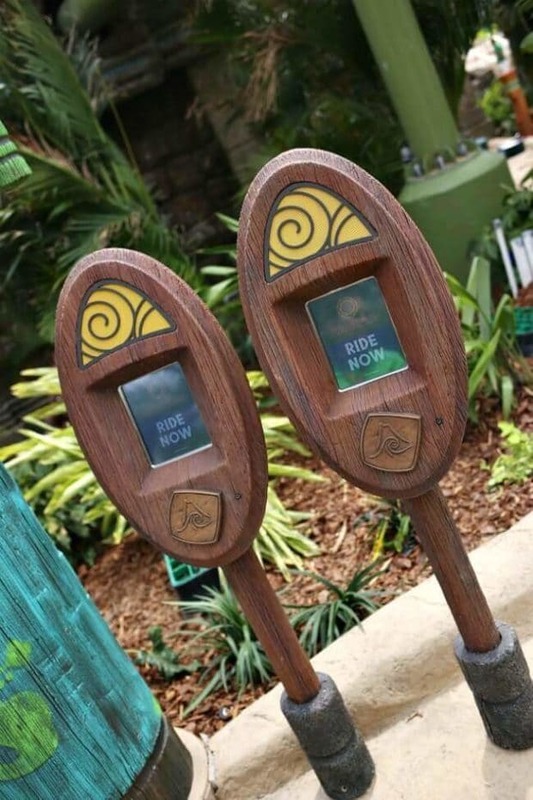 When you enter the park, each guest receives the TapuTapu interactive bracelet. It’s the magic wand of theme parks! 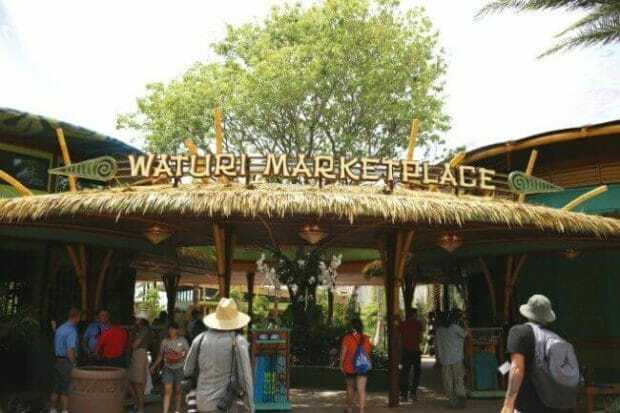 Use TapuTapu to check out wait time for rides and virtually get in line. While you’re waiting you can enjoy the lazy river or the wave pool. Also use it for interactive experiences like shooting water cannons and exploring the volcano’s hidden caves. And TapuTapu gives you the option of adding TapTu Pay. 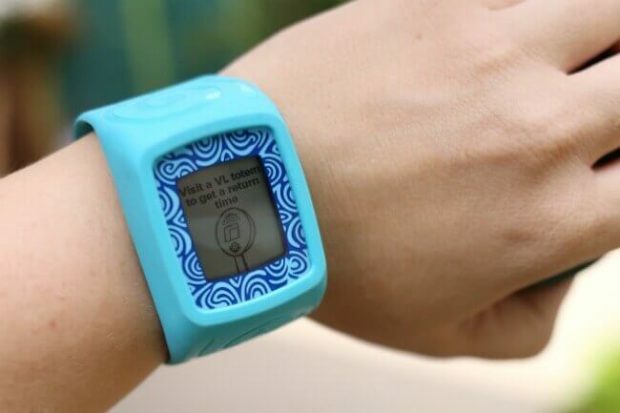 It’s like wearing a credit card so you can pay for food, beverages, a locker, etc., with a wave of your wrist. Talk about a care-free experience! 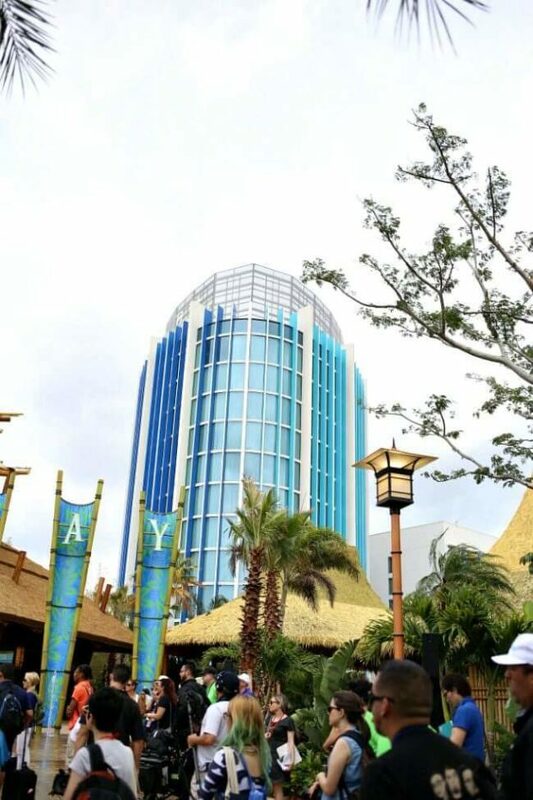 If you want to be onsite, stay at Universal’s Cabana Bay Beach Resort. (I can’t recommend it enough.) You can read more about my stay at Cabana Bay Beach Resort here. Would I go to Volcano Bay again? In a heartbeat. Whether you want to relax, feel pampered, or jump into adventure, you’re sure to find a piece of happily ever.